When I need an injection of comedy into my life I go to the Screwball Comedy – shot in dreamy, luminous or crisp black and white (lighting engineers were mightily respected in those days) those films feel like a burst of sunshine on a dreary day! They offer a chance to listen to the funniest, nuttiest conversations between the most lustrously beautiful and whimsical of characters. They provide a magical, humorous, fantasy existence of fun, glamour, devil-may-care madness and merriment! Screwball Comedy invaded Hollywood in the nineteen thirties and reached its zenith in the forties. It was a mode that seemed to inspire the most creative, entertaining and exciting achievements from many of the greatest film makers of America’s classical ‘golden age’ - Ernst Lubitsch, Frank Capra, Preston Sturges, George Cukor and Howard Hawks - indeed, some devoted their whole careers to the genre. What was left behind was a number of consummately delightful movies with outstanding scripts that have yet to be equalled in the genre called ‘romantic comedy’. One of the most influential film critics of all time, Pauline Kael, described this era as “…that sustained feat of careless magic we call ‘thirties comedy’…”. 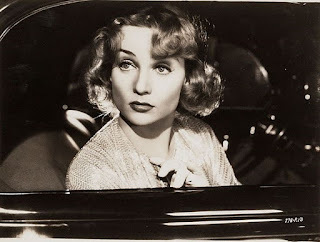 These films gained the label ‘Screwball’ around 1936, when a publicist used the word to describe Gregory La Cava’s film My Man Godfrey, and its crazy, fast-talking heroine, energetically played by Carole Lombard. 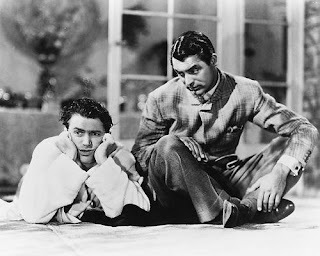 Although ’screwball’ had its roots in the comedies of Shakespeare, Vaudeville, theatre, and the routines of acts like The Marx Brothers, when the first of the films appeared (The Thin Man, It Happened One Night, The Awful Truth) they were so fresh and liberating, that it almost seemed as if Hollywood had invented a new genre. The defining features were irreverent humour, fast-paced dialogue and action, and eccentric characters. Circumstance, coincidence, fortune and misfortune comprise the plots, but this was paired with eloquent wit, glamour, lightness of touch and a kind of amusing internal logic - a combination that comedy has rarely been able to capture since. The plots often involve handsome but staid men becoming embroiled with mercurial, feisty women in a whirlwind of haphazard events. The women were Carole Lombard, Katharine Hepburn, Claudette Colbert, Barbara Stanwyck, Myrna Loy and Irene Dunne. The men were Cary Grant, Henry Fonda, Gary Cooper, William Powell, Fred MacMurray or Clark Gable. The laughs mostly come from the quick-fire exchanges of witty dialogue that flow pretty much consistently between the protagonists themselves, but also between the supporting characters (who are often highly comedic in their own right). 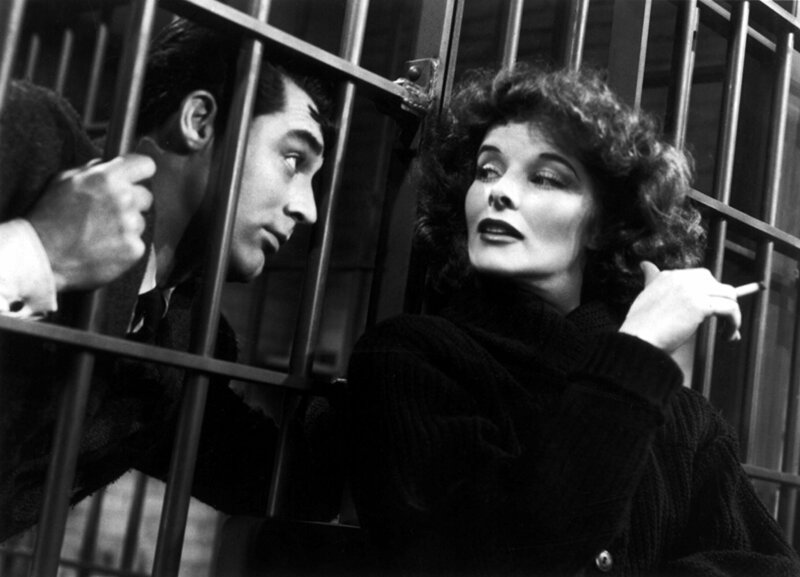 Bringing up Baby - the Howard Hawks movie where a forgetful palaeontologist David Huxley (Cary Grant) must make a good impression on socialite Mrs. Random (May Robson), who is considering donating a million dollars to his museum. On the day before his wedding to his stuffy fiancée, David accidentally meets Mrs. Random's free-spirited niece, Susan Vance (Katharine Hepburn) which sets in motion a series of increasingly chaotic events, involving a missing dinosaur bone, an uncooperative dog, a big-game hunter and a pet leopard. Hepburn’s offbeat adventuress begins to fall for the diffident academic and throws David’s life into a vortex of outlandish chaos and social turmoil. This film is a classic - a glimpse into an anarchic world where nothing goes the way common sense would predict, but the movie can boast one of the funniest scripts ever written (aside from Groucho Marx). 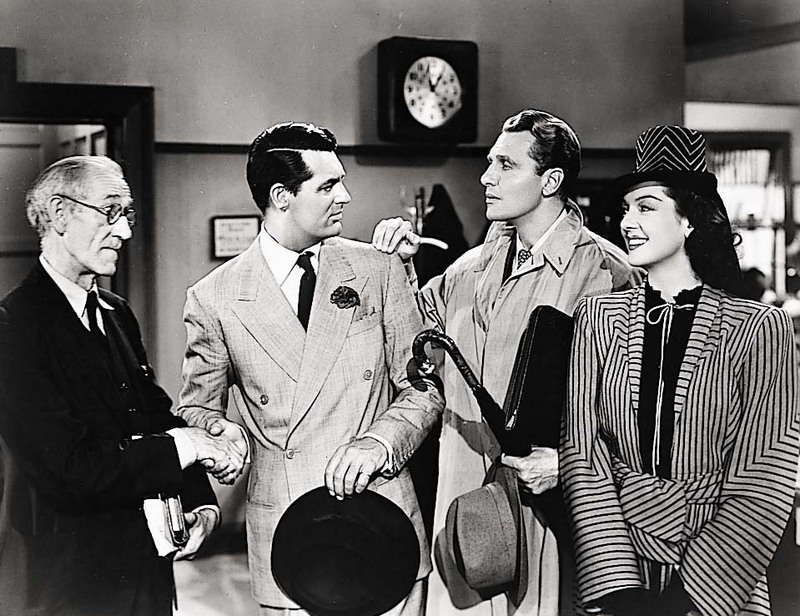 His Girl Friday – again by Howard Hawks, concerns hard-boiled New York newspaper editor Walter Burns (Cary Grant again) who discovers that his ex-wife and star investigative journalist Hildy Johnson (Rosalind Russell), is to marry bland insurance salesman Bruce Baldwin (Ralph Bellamy) and settle down in the country. Walter tries to lure Hildy into covering one last story, the upcoming execution of convicted murderer Earl Williams (John Qualen). When Hildy discovers a corrupt mayor (Clarence Kolb) needs the publicity from the execution to keep his job after an upcoming election, and that Williams may be innocent, her investigative and crusading instincts get the better of her. The promise of a big scoop proves too much. The movie contains lightning-fast repartee and celebrated chemistry between Grant and Russell. The supporting roles are no less worthy of praise, as Ralph Bellamy invests the role of handsome sap with hapless charm. His Girl Friday was one of the first ‘newspaper movies’, adapted from The Front Page, a Broadway comedy about tabloids written by former Chicago reporters Ben Hecht and Charles MacArthur and first produced in 1928. It was again adapted in 1974 as the film The Front Page directed by Billy Wilder, starring Jack Lemmon and Walter Matthau. The Lady Eve - a farce by Preston Sturges, in which Barbara Stanwyck’s beautiful con artist Jean Harrington and her unscrupulous ‘colonel’ father (Charles Coburn) set out to fleece explorer, snake expert and heir to the Pike Ale fortune, Charles Pike (Henry Fonda) during an ocean cruise. Matters become confused when Jean starts falling for her mark, but when Charles realizes that Jean may simply be a gold digger, he leaves. Jean, now burning with a desire for love, (and revenge) devises a plan to inveigle herself back into Charles' life. She re-introduces herself to Charles, this time as an aristocrat named Lady Eve Sidwich. 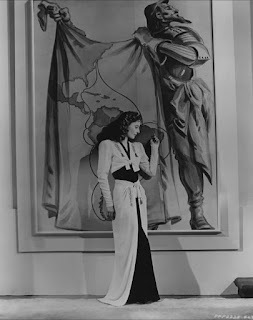 The Philadelphia Story – a George Cukor film which focuses on Tracy Lord (Katharine Hepburn), a Philadelphia socialite who has divorced her first husband, C.K. Dexter Haven (Cary Grant), due to his drinking and to her prim, judgemental nature. As Tracy prepares to wed the wealthy George Kittredge (John Howard), she crosses paths with both Dexter and reporter Macaulay Connor (James Stewart). After several misadventures, unclear about her feelings for all three men, Tracy must face her own weakness and decide who she is really most attracted to. (Does it sound familiar? It was later remade into a musical called High Society, with Bing Crosby, Frank Sinatra and Grace Kelly. The musical was in colour and had nice songs but it wasn’t nearly as funny). With the advent of WWII a more serious tone was deemed more appropriate in the movies, but the Screwball Comedies had paved the way for subsequent films, such as the series starring Katherine Hepburn and Spencer Tracy (Woman of the Year, 1942, Adam’s Rib, 1949, etc) which outlined the battle of the sexes and the changing role of women. Later they informed a string of glossy colour romps with Rock Hudson and Doris Day (Pillow Talk, 1959, Lover Come Back, 1961 etc). Although the quality of plots and dialogue rarely reached the heights of the original Screwball films, their influence permeated comedy throughout the decades – Some Like it Hot (1959), What’s Up Doc? (1972), A Fish Called Wanda (1988) When Harry Met Sally (1989) even arguably Mike Newell’s Four Weddings and a Funeral (1994). The Coen Brothers have never hidden their admiration of those early films and have paid tribute to them in The Hudsucker Proxy (1994), The Big Lebowski (1998), Intolerable Cruelty (2003) and Hail Caesar! (2016), perhaps most obviously paying homage in ‘O Brother Where Art Thou?’ (2000) which was the name of the fictional film that Joel McCrea’s Sullivan went on an odyssey to research in the Preston Sturges 1941 Screwball Comedy Sullivan’s Travels.